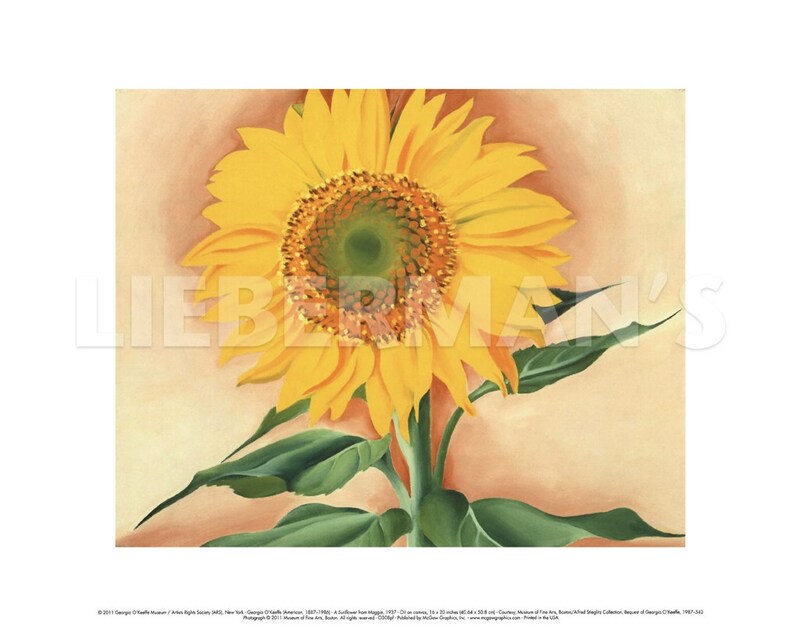 Maggie Johnson, wife of Johnson and Johnson President Robert Wood Johnson had an affection for sunflowers. O'Keeffe and Johnson spent much time together along with other friends at the Ghost Ranch in New Mexico. O'Keeffe dedicated this painting to her. 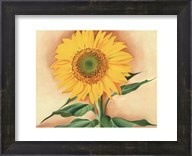 Framed Size: 16" x 13"